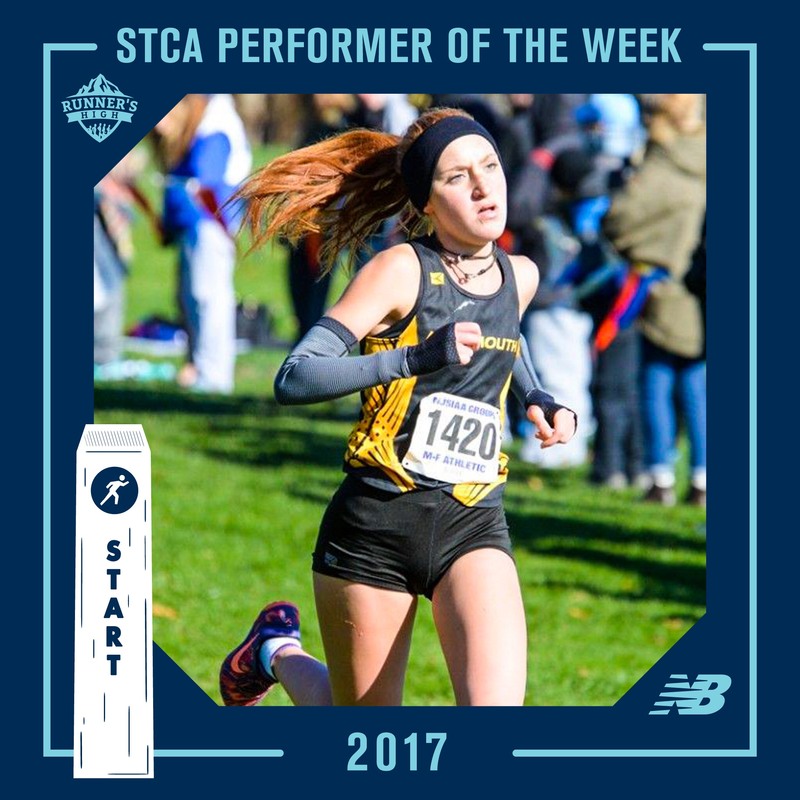 Winners of Week #9 of our Shore Coaches Association Performer of the Week presented by New Balance are Samantha Ragenklint of Monmouth Regional High School and Nick Ackerman of Freehold Township High School!! Samantha Ragenklint of MRHS notched a top-10 performance at Saturday’s NJSIAA Group 2 Championships hosted at Holmdel Park in a time of 19:46. Along with teammate Amanda Stone, Sammi will be toeing the line at this weekend’s NJSIAA Meet of Champions – making this season the first time ever Monmouth Regional has had two athletes individually qualify for MOC. 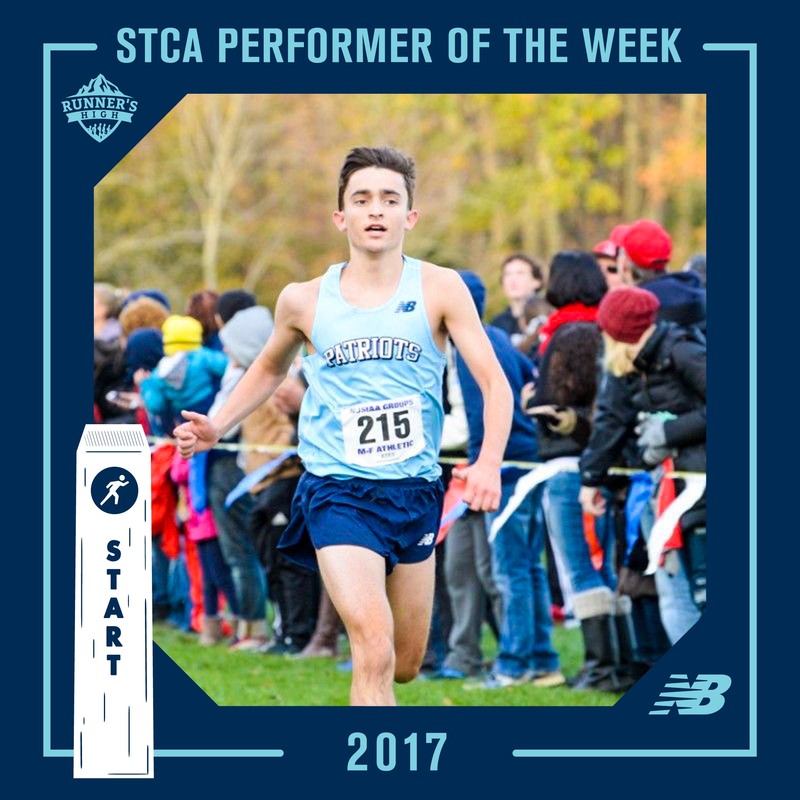 Nick Ackerman of Freehold Township High School had a huge breakthrough race at the NJSIAA Group 4 Championships on Saturday. Running a 25 second course PR, Nick ran a time of 16:05 over the hills of Holmdel. Leading his Patriot teammates to a Wild Card spot, we are pumped to see our hometown team on the line at Saturday’s Meet of Champions.